At 2 1/2 inches by 1 1/2 inches this pendant is a statement. The large bail will hold a substantial chain or cord. It comes with a 5 mm nylon cord and clasp ready to wear. 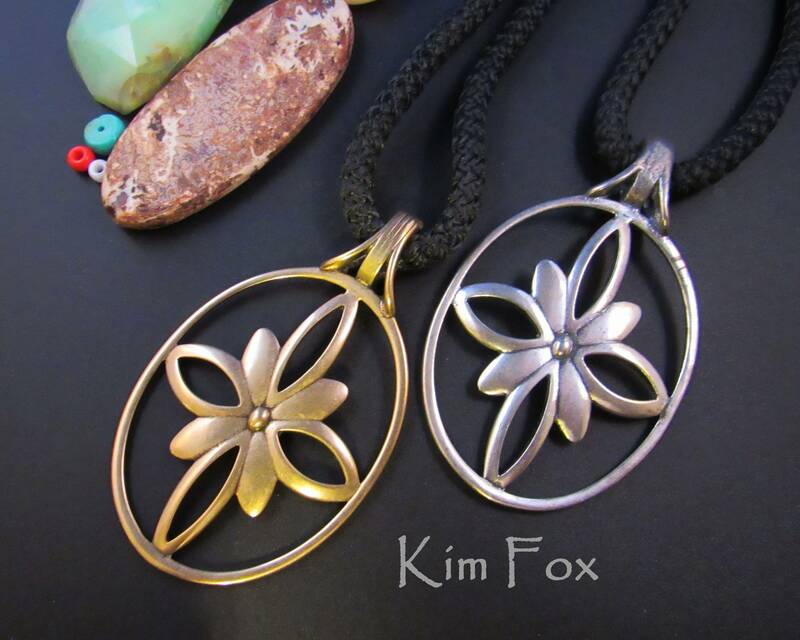 Infinite because the shape of the flowers petals are based on the symbol for infinity. 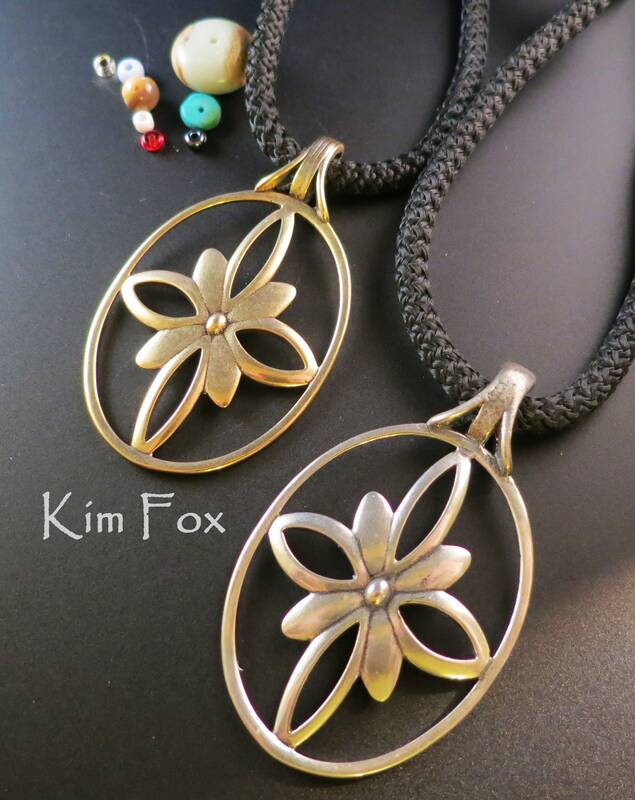 The pendant comes in brilliant sterling or warm golden bronze and is lost wax cast in Albuquerque, New Mexico and then hand finished.